The exhibition spans nearly 60 years and two periods in Polish art - the Young Poland movement and the interwar period. The Young Poland movement initially emerged in the region from the School of Wood Crafts and the Lace-making School, and then later in the circle of Stanisław Witkiewicz and his idea of the Zakopane Style. 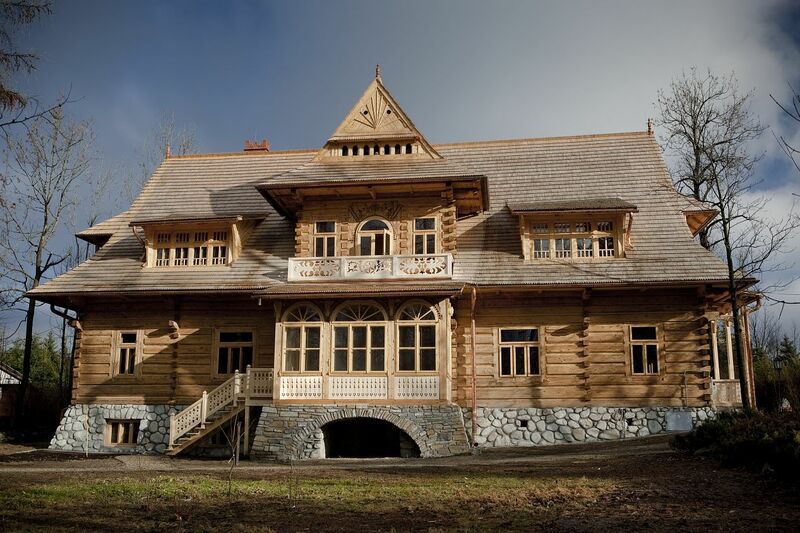 At the same time, a small village at the foot of the Tatras became a meeting point for the elite of the Polish intelligentsia from the three parts of Poland partitioned between Russia, Prussia and Austria. Zakopane was the place of contact and of the free exchange of ideas that focused around the issues of regaining independence for Poland. The village became a spiritual and cultural capital of Poland, and was often called “the Polish Athens” or “the Polish Piedmont”. Modern artistic ideas went hand in hand with progressive social, political, scientific and even sports initiatives (alpinism and skiing). At the end of this period, Zakopane’s artists organized themselves in “Sztuka Podhalańska” [Podhale Art] and “Kilim” Societies. All the Zakopane traditions, institutions and societies mentioned above continued their activities during the interwar period. In sovereign Poland (which regained independence in 1918), the avant-garde movements (Expressionism, Formism and Futurism), which aimed at creating a Polish modern national art, had a strong impact on Zakopane’s artistic community. In both periods, Zakopane had its own original conceptions and achievements in its quest for a national style; during the period of Tatra Young Poland, it was Stanisław Witkiewicz’s Zakopane Style. In the interwar period this search for a ‘Polish’ style continued with the participation of the leading artists of the time (Stanisław Ignacy Witkiewicz, August Zamoyski, Leon Chwistek and Rafał Malczewski) in the avant-garde movements as well as Zakopane being established as an interesting modern centre of sculpture and graphic arts, initiated by Karol Stryjeński at the School of Wood Crafts. 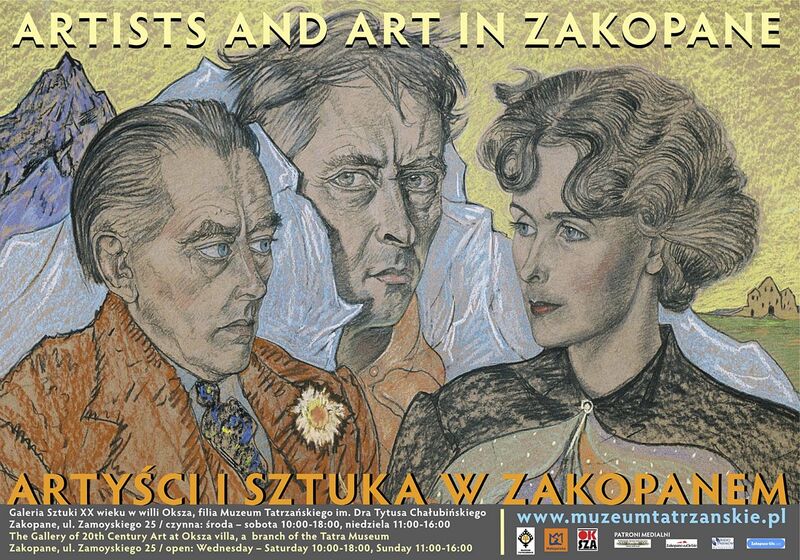 The exhibition „Artists and Art in Zakopane” is based on the Tatra Museum’s own collection, complemented by a few loans. It embraces painting, graphic arts, drawing, sculpture and photography, as well as applied arts and posters. 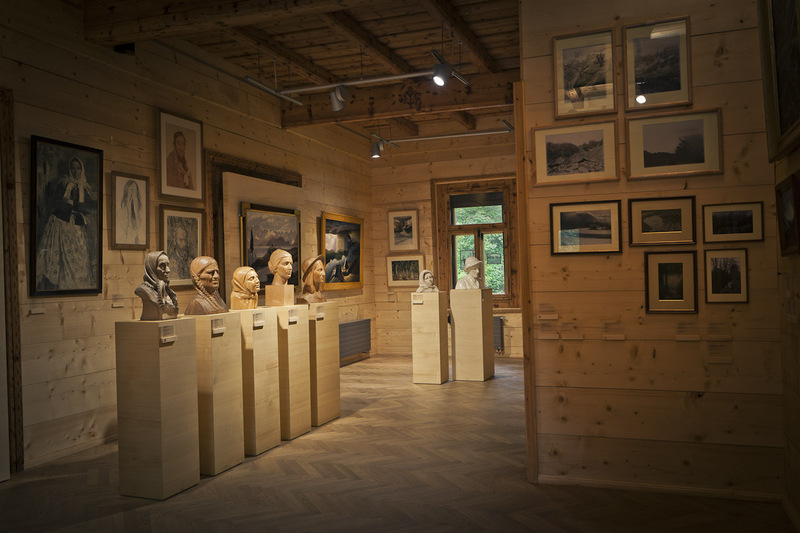 The display includes artworks by Leon Wyczółkowski, Wojciech Weiss, Zofia Stryjeńska, Jan Rembowski, Rafał Malczewski, Stanisław Gałek and Jan Gąsienica Szostak; psychological portraits by Stanisław Ignacy Witkiewicz; sculptures by Konstanty Laszczka, Wojciech Brzega, Stanisław Sobczak, Jan Szczepkowski and pupils of the School of Wood Crafts; kilims and lacework, artistic woodcarving and many others exhibits. The Zakopane colony is usually described as an artistic and literary colony, as some of the artists, such as Stanisław Witkiewicz (father) and Stanisław Ignacy Witkiewicz (son), Leon Chwistek, August Zamoyski and Rafał Malczewski, also had considerable literary achievements, which have been important for Polish culture. 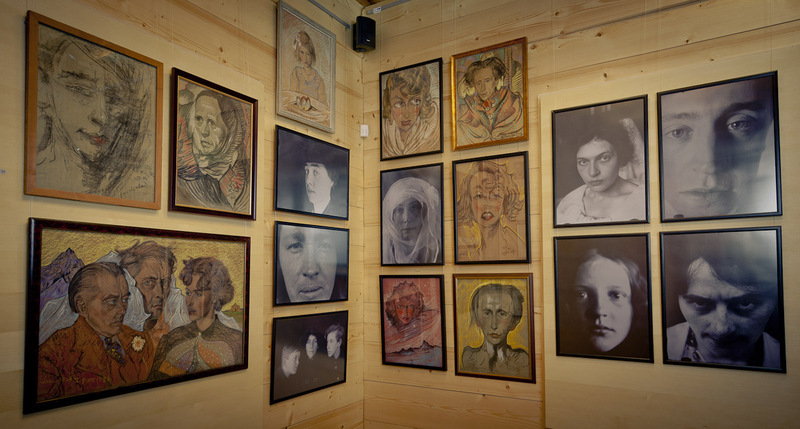 Art, literature and poetry were interwoven in Zakopane’s artistic (and social) life, complemented mutually and linked with other types of creative work – music (Mieczysław Karłowicz, Karol Szymanowski), artistic dance (Rita Sacchetto) and theatre (the Formist theatre of Stanisław Ignacy Witkiewicz). Many of the displayed art works and their authors have interesting literary references and contexts. Koliba villa, ul. Kościeliska 18, which wasthe first house built in the Zakopane Style, designed by StanislawWitkiewicz, and which nowhosts the Museum of theZakopane Style. 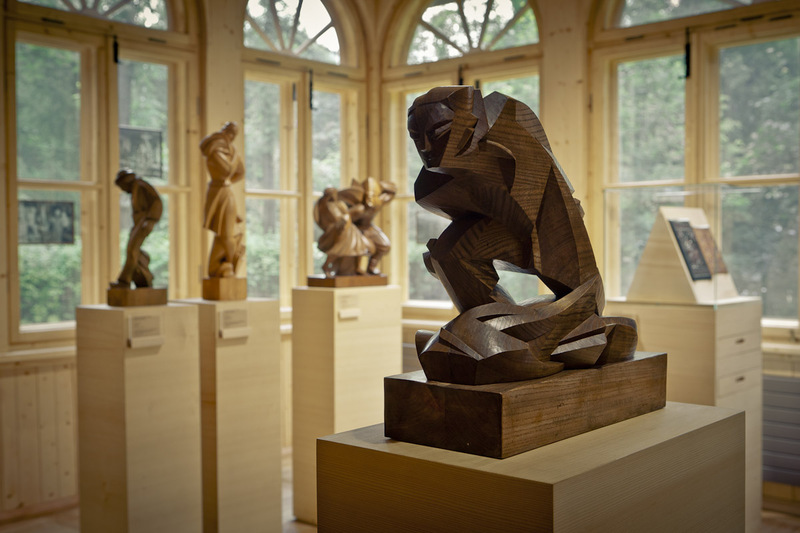 Both these places are connected to the exhibition at Oksza villa by many threads, and only by visiting all of them can you fully grasp the main movements and issues of art in Zakopane until WW II. We would like to thank the Mayor of Milanówek and individuals for loans. with funds from the European Union and the Małopolska Region.